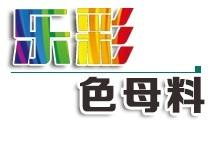 Founded in 2006, located in Weifang, Shandong province, Changle Lecai Masterbatch Co., LTD specializes in the production of many sorts of color masterbatch. The black masterbatch is its flagship product. The company also produces filler masterbatch, desiccant masterbatch, white masterbatch and many kinds of color masterbatch. It has the self-management import and export rights and production capability of 30,000 tons per year. A more than 10 people research and development team is engaged in the plastic pigment and plastic engineering materials, research and development to production accurately according to the different requirements of customers. The Company has sophisticated electronic measuring instruments, the cutting-edge devices, twin-screw masterbatch manufacturing equipments, many sets of advanced extrusion, dispersion device. Thanks to the high quality raw materials, most of its products have achieved SGS/ROHS/FDA certificates. The company has also passed ISO9001:2000 certification. "Quality is life, Science and Technology is power" is our guarantee of service, and also the innovation of new products constantly.